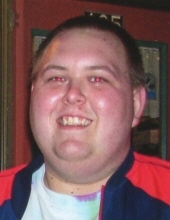 Jacob Andrew Mallmann, age 29, of Sheboygan, passed away on Sunday (April 7, 2019). He was born in Sheboygan on July 14, 1989, son of Jeffrey and Cara (Watson) Mallmann. Jake attended Plymouth grade schools and graduated from Plymouth High School in 2007. He worked at Rocky Knoll while in high school, and most recently worked at McDonald’s in Plymouth for 5 years. Jake enjoyed cats, fish aquariums, camping, concerts, and hanging out with his friends. Survivors include: Father: Jeff (Lisa) Mallmann of Plymouth; Mother: Cara (Kevin) Eggebeen of Plymouth; Brother: Joshua Mallmann of Plymouth; Grandparents: Tony (Betty) Mallmann of Cape Coral, FL, and Kathleen Watson of Plymouth; Goddaughter: Evee; and Special Friends: Tristian Henry and Crystal Meerstein. He is also survived by 6 step-sisters, aunts, uncles, other relatives and friends. Jake was preceded in death by his grandfather: James Watson. Funeral Services will be held on Thursday (April 11, 2019) at 6:00 P.M. at the Suchon Funeral Home in Plymouth. Father Philip Reifenberg, Pastor of St. John the Baptist Catholic Church will officiate. Visitation will take place at the funeral home on Thursday (April 11) from 4:00 P.M. until the time of services. In lieu of flowers, a memorial fund is being established in Jake’s name. To send flowers or a remembrance gift to the family of Jacob A. Mallmann, please visit our Tribute Store. "Email Address" would like to share the life celebration of Jacob A. Mallmann. Click on the "link" to go to share a favorite memory or leave a condolence message for the family.